When you care about a restaurant, you will make sure you visit it as often as you can, eat its food and think of ways to make it better. 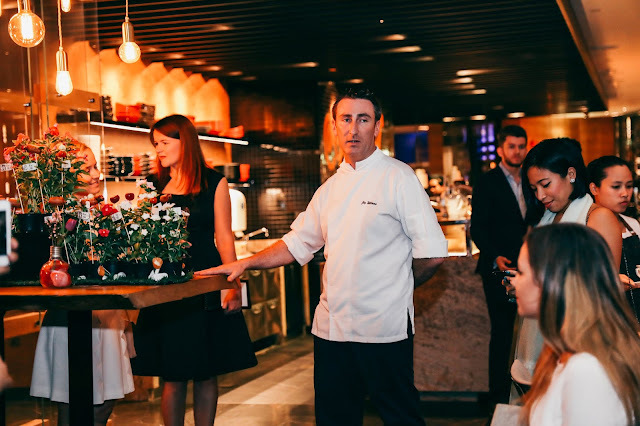 Mauro Maccioni, whose family owns the Circo group of restaurants as well as the legendary Le Circe French restaurant in New York, talks excitedly about plans for Circo Abu Dhabi. It is about 4 months since I last chatted with him at a similar dinner at one of Abu Dhabi's best Italian restaurants. His talk is refreshing. I have seen it often enough where a restaurant is brought to Abu Dhabi with great fanfare, only for it to be left to its own devices while the owners look for their next venue. Mauro is committed to Circo, and that accounts for a big part of its success. He has shown a willingness to tweak the concept depending on local market forces, therefore illustrating a respect for how the Abu Dhabi market works. But tonight is also about food of course, and Mauro tells me the dishes will be a celebration of the type of food Circo is famous for. However, there is another story that could unfold tonight because the stage is set again for Circo Restaurant Chef Matteo to impress guests with his take on some favourite Circo dishes while Executive Chef Danny Kattar ensures it is indeed a stellar kitchen! 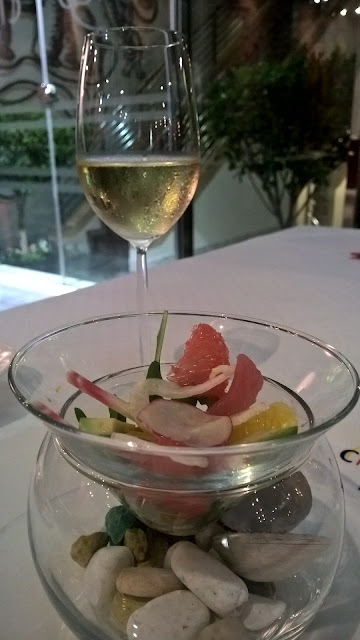 The 5-course dinner starts off with an amuse bouche I have had the pleasure of having before, or a slight variation anyway - the Crudo di Tonno Marinato agi agrum, a salt sured red tuna crudo with a selection of citrus and vegetables. On a previous visit, I referred to it as a dish that celebrated the onset of Summer. Tonight it allows me to experience that same Summer, but this time on the beach. How many glorious summers have you not had at a beach? This is what this dish evokes in me. Pebbles of different colours and a clam shell are held in glass shaped bowl, with a martini glass top without the stem placed at the mouth, on top. So, when you look at the dish which captures early Summer, you see and feel the beach. Red grapefruit explodes in the mouth to release all that natural goodness. moisture and flavour. Sweetness from the orange is countered by radish and fennel, while avocado offers neutral ground for the stronger flavours in the dish. It is the texture, though, that thrills me about the avocado. I think the diverse flavours come together perfectly while the tuna remains so pure, untouched, natural. 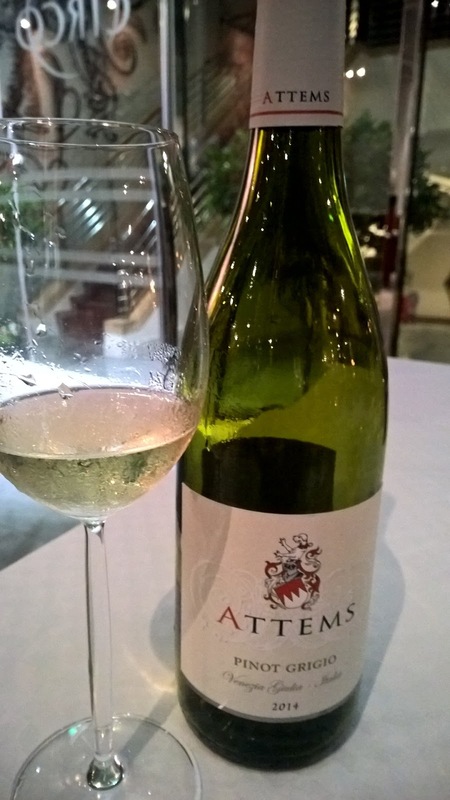 Finally, it is accompanied by a 2014 Attems Pinot Grigio that is fresh and mildly fruity and manages to keep Summer alive, Summer at the sea. 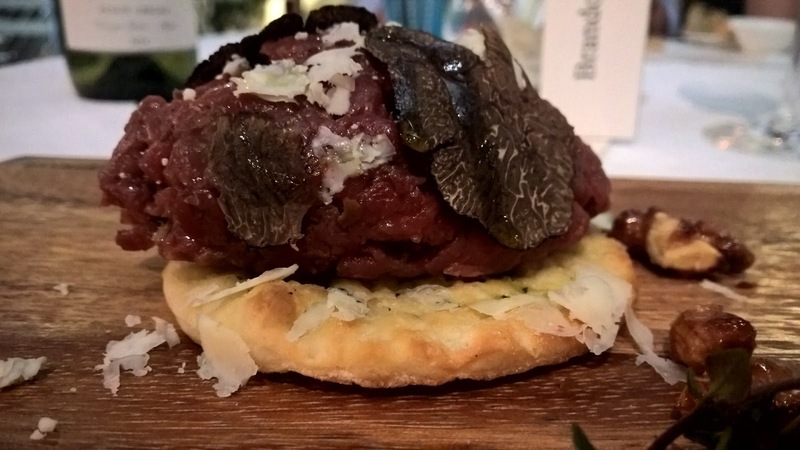 We start dinner proper with an antipasto of beef tartar, the Tartare di Manzo 1824 a tartufo. A self-confessed fan of beef tartar, the Australian 1824 offers a good balance between taste and affordability. I am immediately attracted by the shaved Winter truffles. Who does not love these wonderful additions to a dish? It is an original interpretation on a classic dish, with blue cheese bringing an olfactory sensation that is obviously so distinctive. Then, there is also a Sicilian tapenade that makes this quite an intense dish, but caramelised walnuts balance it quite well. This is a hearty sized starter, even more so because it sits on a base of focaccia. There is one element missing from an otherwise good dish, however, and that is a bit of moisture. I end up missing a quail's egg which would also have held the ingredients together, literally. However, the following course is just perfection - the Risotto al nero di Seppia or Ink squid risotto. 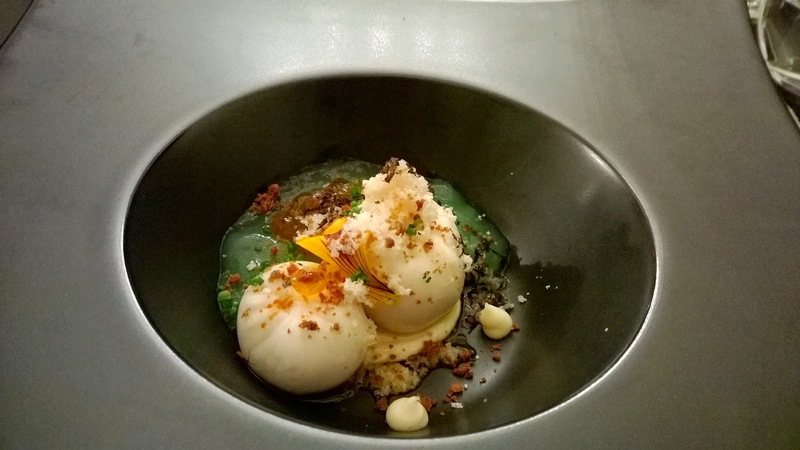 You will always be challenged to make ink squid risotto an attractive looking dish, but Chef Matteo achieves that. But the success of this dish transcends the visual. The risotto is fluid, creamy but not sticky. Importantly, it is cooked al dente! The latter is such an obvious aspect of a risotto or pasta and yet so many get it wrong. 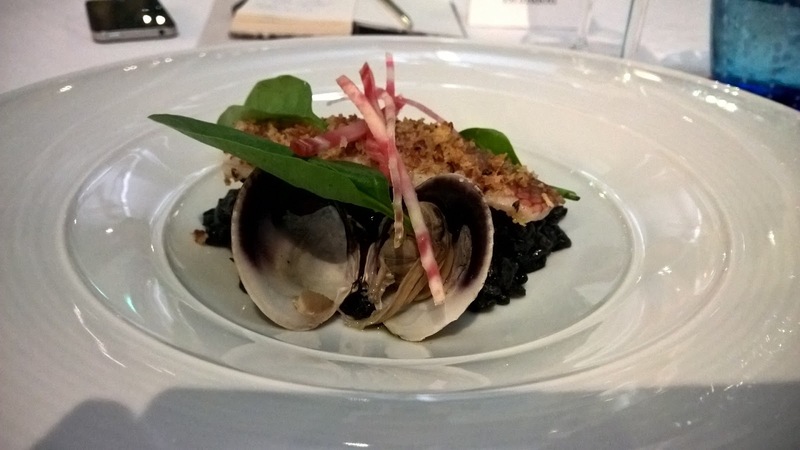 I talk about balance quite often, and if there is a dish where it is essential, it is this - the red mullet and clams furnish it accordingly with that balance, for the red mullet is very natural in flavour, up against the seafood-saltiness of the risotto. The red mullet gratin is imbued with beautiful texture, and its crunch together with the sauciness of the risotto make for a terrific combination. I feel I need to mention the clams again because apart from balance, they take me back to the beach in a visual, tangible way as I look at the opened shell on my plate. Kudos to Chef. 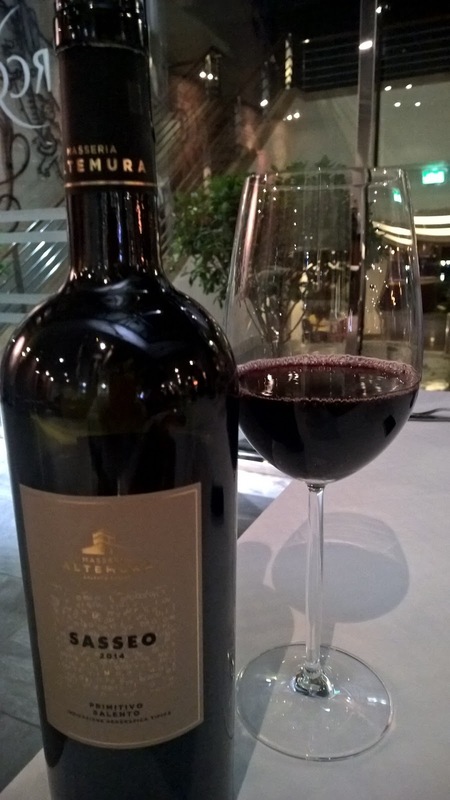 The switch to the red brings the 2014 Masseria Altemura Sasseo Salento Primitivo. This dark ruby red wine is a beauty. It is medium to full and goes down real smooth. While we wait for the fourth course, I walk over to the kitchen and watch the chefs in action. My attention focuses on Chefs Danny and Matteo. There is a synergy as I watch them from a plate the dishes. There are no egos here. It is all about the food. The fourth course is served amidst great expectations. While I struggle with the surf and turf concept, I have no issues when I see Chef's version of the combination of the sea and earth. The Mare e Terra looks inviting the instant it is placed in front of me. When someone says surf and turf, I have visions of a 300g tenderloin with a lobster plonked on it! This, on the other hand, is not as intimidating as I feared. The lobster is outstanding, poached in citrus butter, giving it a creaminess and citrus quality that you and me usually get by a squeezing a lemon. 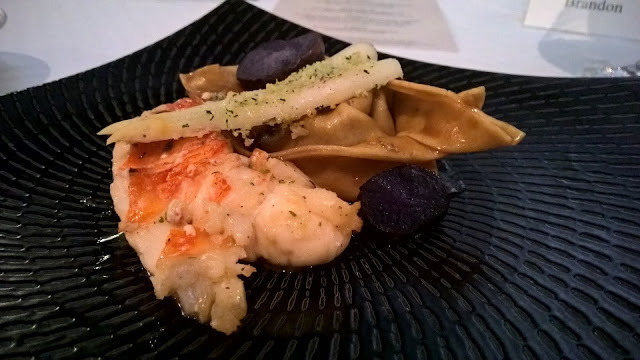 Moreover, the lobster is cooked for just the right amount of time, leaving it with a perfect moisture. That lobster could be a dish on its own! Next, I try the turf side of the dish - tortelloni filled with veal ossobuco. The latter just separates so easily in my mouth - it is both juicy and tender. As for the tortelloni, buono! Overall, the success of this dish lies in the pasta which acts almost as a buffer between the surf and turf, and this is how I like it. In summary, a very well executed dish. 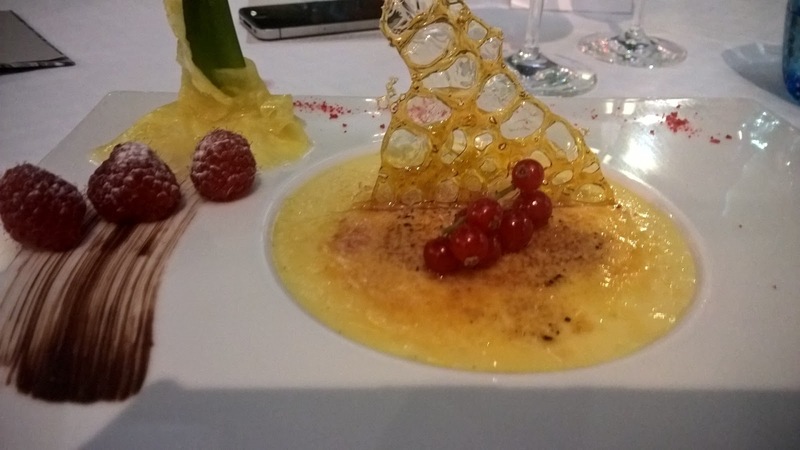 As the evening draws to a close, it is only fitting that it is a dessert aptly named the Crème brûlée di Sirio Maccioni, Mauro's father and the man know is generally known for popularising this dessert is New York, and of course, the soul of Circo! The presentation demands my focus. You might think the dessert will be very sweet because raspberries and red currants adorn the plate to provide respite, but no. The crème brûlée itself is mildly sweet, endearing me to it immediately. The sweetness, and hence the presence of the aforementioned sour elements, comes from the marinated pineapple. The texture? A twist as it stems from the vertical caramelised sugar wall that reminds me of a honeycomb, smartly balanced in the Crème brûlée. The latter, by the way, redefines smooth and creamy. As dinner ended, I was left with three memorable moments. 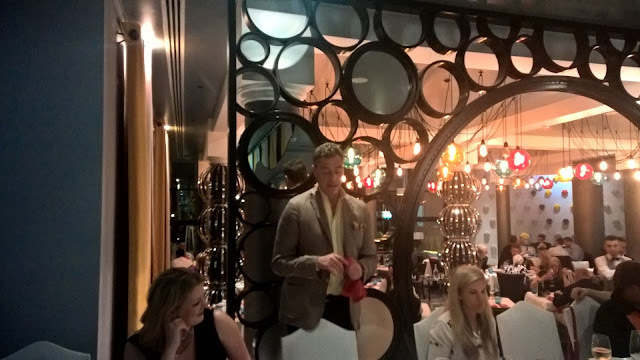 Firstly listening to Mauro talk passionately about upcoming innovations on the Circo menu in terms of exciting promotions. He is not a man who has simply lent the family's branding to the restaurant and makes an occasional appearance. This is a man who lives and breathes dining. Then, there was a moment as Chef Matteo was being congratulated on the dishes, when Chef Danny looked at him with tremendous warmth and pride. Touching and priceless! For this was indeed Chef Matteo's finest hour for me. And there will indeed many more. I left Circo understanding a little more about the brand. Yes, a circus is a fun place and entertains, but we forget that the workers in a circus form a bond that we as guests do not fully grasp. This is a huge part of the culture at this restaurant. 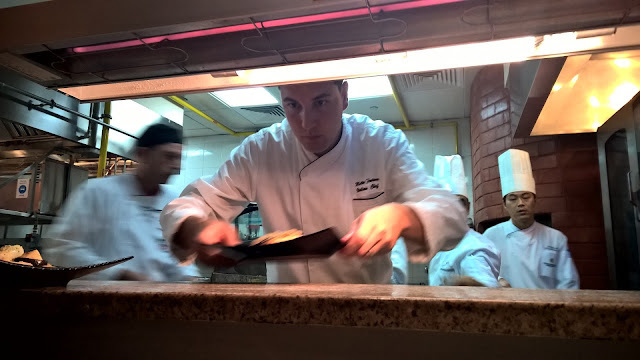 Manager Gianluca Maglianella is able to get the most out of his staff, to motivate them and when we arrive as guests, we see the finished product. This brings me to the third moment which was when all the waiting staff were thanked and applauded for their service. A very nice, classy touch. 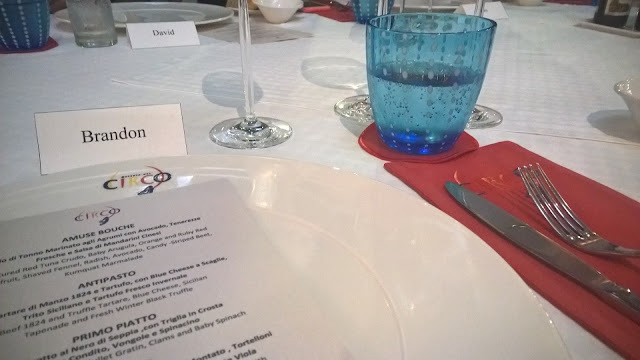 I know this was a special dinner with media present so staff would have been on form, but you just needed to look around at other guests to see that the staff here have a consistency more often than not in delivering a Circo warmth, Italian style. All in all, an evening for the ages. Disclaimer: I consult at restaurants and hotels in an attempt to look at the entire product to take service levels to where they should be. I visited Circo courtesy of the hotel.